Zebra's built-to-last Xi series printers are legendary for their rugged durability, consistently outstanding print quality, fast print speed, long life, and unparalleled reliability in demanding applications. These qualities translate into low total cost of ownership - making them a smart investment for organizations with high-volume, mission-critical or specialty labeling applications. Xi4 printers build on this legacy to boost your operational productivity with up to 40 percent faster print speeds on select models, faster 10/100 Ethernet connection speeds, and enhanced early warning systems for reduced downtime. Other advanced and flexible features include a large, easy-to-read front panel for simple setup with customizable menu and support for a wider assortment of languages. Integration is easier with a variety of network connectivity options, while ZebraLink solutions provide remote printer management capabilities. 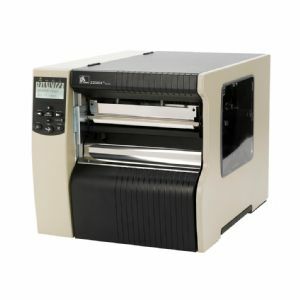 Designed to produce large labels up to 8.5" wide at 10" per second at 203 dpi and 6" per second at 300 dpi resolution, the 220Xi4 is ideal for industrial applications - chemical drum (HAZMAT) identification labels, pallet/container shipping labels and product identification labels for large rolls of paper or textiles.